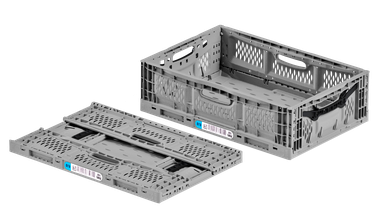 Folding Box Large - surplus-neus Webseite! 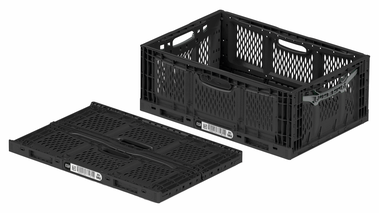 The folding box large, the biggest of the folding box series, has a footprint of 60 x 40 cm and is available in black and grey. The active lock is function-optimized and allows a quick and easy folding and unfolding. Spe­cial customer requests like stamps, hot prints and own colors are available depending on the quantity! Our folding box is available in two different heights.